Another spate of news regarding blockchain applications in the power and energy industry and markets emerged in recent weeks, notably with regard to the large and fast-rising amount of energy used to mine Bitcoins, i.e. process buy-and-sell orders that result in their creation. Garnering most of the media attention was the soaring value, and wild gyrations, of the value of a Bitcoin, along with a profusion of Bitcoin blockchain-cryptocurrency spin-offs, however. The original blockchain-based cryptocurrency, the value of a single Bitcoin soared to a record US$19,343 on the Coindesk exchange Dec. 16, 2017 only to plunge to around US$11,000 before hitting bottom and staging a rebound. More fundamentally and of more profound significance, the much-touted assertion that blockchain-based cryptocurrency and distributed ledger platforms are “tamper-proof” – impregnable to cyberattacks and malware incursions – may have been seriously damaged, if not refuted completely. 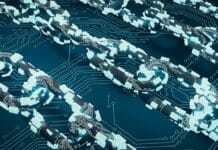 So was the contention that blockchain-based systems are inherently much more efficient, and hence cheaper, than prevailing methods and means of transaction processing and administration. That raises some serious questions regarding the viability of “industrial strength” blockchain applications in any economic sector, including distributed solar and renewable energy markets and industry. Blockchain systems are being used to support trading of distributed solar energy in an expanding range of countries. That includes pioneering distributed solar energy microgrids in Australia and India, as well as in Europe and the US. Marking a solar industry first, Israel-based, utility-scale solar energy project developer Solar DAO recently completed an initial coin offering (ICO) of digital tokens that convey ownership of shares, and a share of the profits, projects funded by the the Solar DAO investment fund may yield. The developers of what’s billed as the world’s first digital currency based on renewable energy generation, Greeneum on Oct. 19 announced it would soon launch the Greeneum Network, a blockchain-based, peer-to-peer renewable energy trading platform accessible by retail energy “prosumers,” traditional consumers, utilities, grid operators and professional energy traders. On Oct. 20, South Africa’s Sun Exchange announced it had raised $1.6 million from an international group of venture capital investors to carry on development what Sun Exchange says will be the world’s first direct, peer-to-peer solar energy sharing platform. Akin to Airbnb or Uber, the Solar Exchange mobile app serves as the user interface and gateway to an underlying blockchain platform via which community members can own, and profit from, distributed solar energy equipment and projects for as little as $10. Developer, owner and operator of the Brooklyn Microgrid – a pioneering, blockchain-based residential solar energy microgrid serving residents in the Boerum Hill, Gowanus and Park Slope neighborhoods of the New York City borough – LO3 Energy serves as perhaps the highest profile example, however. Having initially taken an equity stake in LO3 Energy last December, market-leading power/energy engineering and manufacturing multinational Siemens upped its investment in LO3 by an undisclosed amount two weeks ago to complete LO3’s Series A venture capital funding round. Siemens and LO3 Energy began working together in late 2015. Siemens proceeded to take an initial equity stake in LO3 via its Next47 venture capital unit in Dec. 2017. 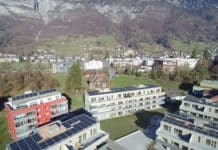 The two companies have since been collaborating to combine and enhance their respective distributed energy and microgrid software applications and systems platforms. That includes working together to integrate the Exergy blockchain used to support LO3’s Brooklyn Microgrid with Siemens’ microgrid management system (MGMS). The constant evolution at the grid edge requires advanced control, automation and data analytics technologies enabling secure, stable and reliable integration of decentralized energy systems as well as supporting the establishment of new business models. 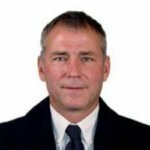 Contrary to all the marketing hype, there are those inside the Bitcoin and blockchain development communities that have been highlighting what they see as critical weaknesses and vulnerabilities of blockchain cryptocurrency exchanges and peer-to-peer, blockchain trading/transaction processing and management systems. Ethereum and Ether emerged as the world’s first blockchain systems platform and cryptocurrency, respectively, to incorporate digital smart contracts and automate, or put on auto-pilot, the digital buying, selling and bookkeeping for virtually any good or service. Touted as inherently secure and “tamper-proof,” Ethereum insiders proceeded to exploit the vulnerability they had been warning of during an initial sale of Ether digital tokens by making off with millions of dollars worth of them. “It looks like crypto hacking is a $200 million annual revenue industry,” Lex Sokolin, global director of fintech strategy at Autonomous Research, was quoted in a Jan. 18 Bloomberg News report. Hackers have stolen an estimated US$1.2 billion worth of Bitcoin and Ether over the past 10 years, but the actual figure is much higher in current dollar terms. Moreover, no less than 14 percent of the total supply of Bitcoin and Ether is compromised, according to Autonomous Research. Seen as a breakthrough innovation that could accelerate development and deployment of distributed solar and renewable energy capacity worldwide, Blockchain has also been attracting “green” energy entrepreneurs and software and information systems engineers. Recognizing the inherent flaws and weaknesses in Bitcoin and other blockchain systems based on “proof of work” to create and process new transactions blocks, some are searching for better alternatives. 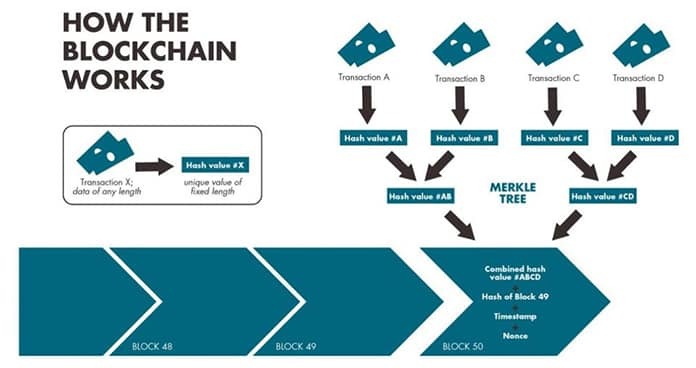 Blockchains based on “proof of work,” such as Bitcoin and the profusion of Bitcoin blockchain-based variants, to process buy-sell transactions or any digital transaction via which something of value is exchanged, are inherently inefficient when it comes to realizing economies of scale, a growing number of blockchain insiders have recognized. Pioneering developer of distributed computing, smart grid and renewable energy systems, David Cohen offered insights into the blockchain-energy consumption conundrum, and the search for better alternatives, in a Solar Magazine interview. Peer-to-peer energy sharing using DER systems, including ‘solar plus storage,’ is part of a larger trend towards deployment and use of ‘transactive’ energy systems…Existing blockchain approaches simply do not work. The fees and energy consumption associated with processing distributed energy transactions just doesn’t scale with the transaction fees and amount of energy consumption of the transactions themselves. US investment bank Morgan Stanley highlights just how much energy is being consumed to mine and create Bitcoins. Bitcoin mining now consumes more energy than all that consumed in Argentina, according to a market research note Morgan Stanley distributed to clients Jan. 17. More broadly, Bitcoin mining consumed more energy than that used in more than 159 countries last year. Looking ahead, Morgan Stanley projects that will account for 0.6 percent of global electricity demand.